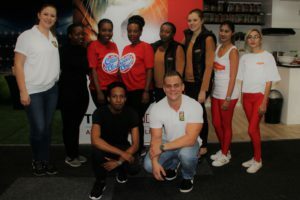 The Comrades Marathon is an event that us Durbanites always look forward to. The excitement of the race and support from the communities along the race route truly encompasses the concept of Ubuntu. 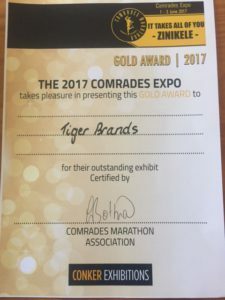 As an activation agency, we thrive on the Comrades Expo – a 3 day exhibition which all runners attend in order to register for the race. 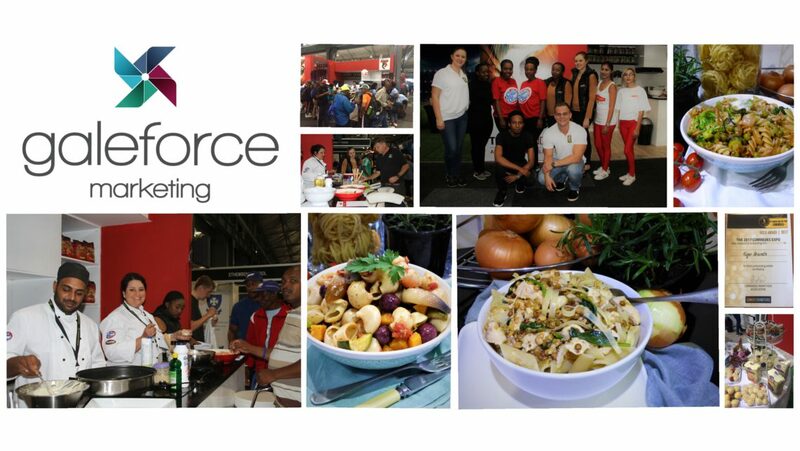 This year, Galeforce Marketing was thrilled to once again activate a Demonstration Kitchen show casing Fatti’s & Moni’s, Golden Cloud and Tastic – leading brands from the Tiger Brands stable. 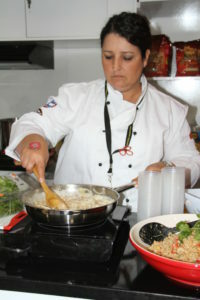 The fabulous Ursula Rohrs, chef extraordinaire, developed and demonstrated recipes using the aforementioned brands in creative and mouthwatering dishes. The cherry on top of a fabulous activation was being rewarded with a GOLD award for the stand, by the exhibition judges.